Weight: 100 gr. glass jar. 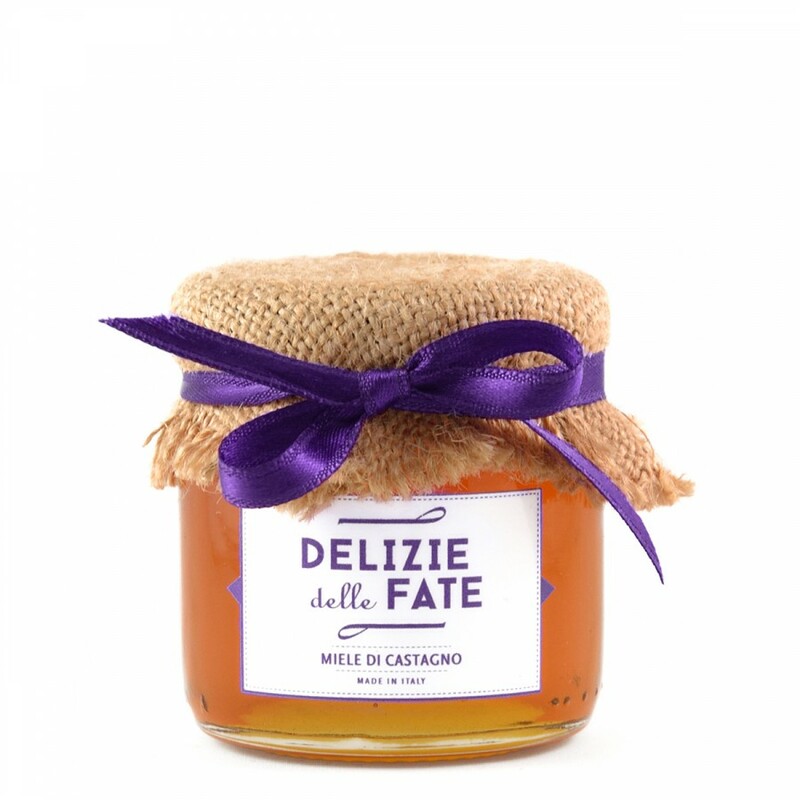 Ingredients: 100% Chestnut blossom honey from Piemonte (Italy). Description: Amber-colored honey, pungent odor and generally liquid consistency because the crystallization is absent or very slow. The flavor is intense, characteristic of undergrowth, with a pleasantly bitter aftertaste that makes it ideal for use along with different kinds of cheese, such as Parmigiano Reggiano and Pecorino.